I started the giveaway for 12.01am today so that you could enter right away if you want, and it will stay open until 12.01am on 12/13 (the last day of classes for me) so that I can properly contact the winners. 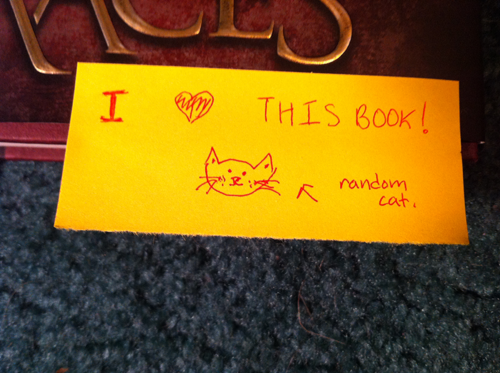 If you missed it, here is my review of the book. Enjoy, everyone, and good luck! Everyone makes them. We are only human. Some of our mistakes are small... like the times you stay up till 2 am studying for a test that you end up failing because you are too tired to think. Others are so catastrophic that they change your life - forever. Maddison regrets not listening to her parents, not being a 'good girl' and not staying at home like she was supposed to instead of sneaking off with her friends for a Spring Break getaway. How she wishes she could turn back time; then maybe she wouldn't be in the nightmare she is in now. Kidnapped and taken to a different country unaware of where she is or what these men want with her. Maddy's parents can't help her, in fact they aren't even aware she is in Mexico. Who can save her? Or can she save herself? Maddy Turner, having been raised in a middle class family, attends a wealthy private Texas high school thanks to her mother being a teacher there. Surrounded by debutante balls and designer clothing, Maddy exists in a world that she thinks she'll never understand. 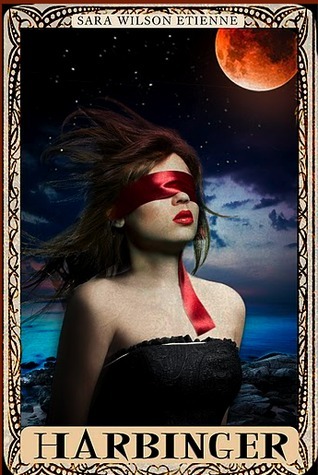 Niggling inside her is a small piece that wants to be swept away just for one night, to not have to worry about finances or having to be the perfect student in order to get a college scholarship. That is, until a series of circumstances lands her in a place darker than she could have imagined. As a human rights student particularly interested in human trafficking the existence of this book does a lot for me on a multitude of levels and is something I feel strongly about. This is not, nor will it ever be, an easy subject. Yet it exists and it happens a lot closer to home than you might expect. Maddy is not a vapid girl. She's an honor student, tutors fellow students, and participates in extracurricular activities. But she is a teenager and she is vulnerable, and at times, confused. Although her best friend, Aimee, is a part of the elite circle of her school, Maddy is always on the outside on some level. So when Aimee invites her to her first debutante ball to get a glimpse of what they're like, Maddy jumps at the chance. This is a typical reaction for someone; people are curious beings - we want to explore the unknown and we want to be included. Maddy's always dreamt of a Cinderella story of her own, and when she finally gets it following the events of the ball, she no longer wants it. Something I liked the most about this book is the way it was written. It had a slight awkwardness and uncertainty about it, not from the authors but from the fact that the main character is a teenage girl. The words exuded descriptions and reactions that I would expect from someone her age and that made the story flow much more easily for me. When she meets Jack she's literally overwhelmed with the idea that someone could be interested in her, however I believe that she would have eventually worked things out for herself. The other half of my appreciating the realism, however, is that there were some moments that had me questioning how things would unfold. As a reader and a reviewer I'm not in a position to be judging how people would react during captivity, especially if the person in question were being sexually abused while held. I've studied the effects of solitary torture, but nothing like Maddy's situation. While in confinement Maddy meets a prisoner, Dalton, being held for ransom. They share a cell as a form of coercion: if Maddy misbehaves Dalton will be punished and vice versa. In order to stay sane they tell each other stories about themselves, their family and friends - anything to remain themselves. Over the course of their confinement they become friends and eventually form a relationship. The issue here isn't completely over age (she is 18, Dalton is 27), although that is a factor. It's also over the healthiness of the situation and the way it's framed. For me, while I was okay with the idea of Dalton, some of his words reminded me like something that Jack might have said. There wasn't enough of a delineation between their speech ("my sweet Maddy") and that threw me off. It was important to me that Maddy be able to differentiate between the two of them, and not just want a replacement, and while I don't think she's quite there yet, she's on the right path. 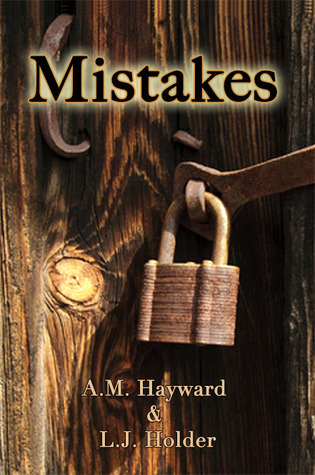 Mistakes is a fast-paced, realistic story that spotlights the real dangers of human trafficking. Reading this made me not just invested in the characters, but also invested in them as people. I cringed and cried and was angry because while this is fiction, it's very much not. This is a hard story to read. It may not be perfect, but a lot of good things aren't, and it's absolutely worth the read. As a note, I don't usually issue warnings, but for parents this is a story that involves sexual abuse and real world issues. A quick, impacting read that's left me waiting to know the fates of those involved. An aside: If you are looking to find out more information about this topic please check out Half the Sky by Nicholas Kristof & Sheryl WuDunn and the International Justice Mission. 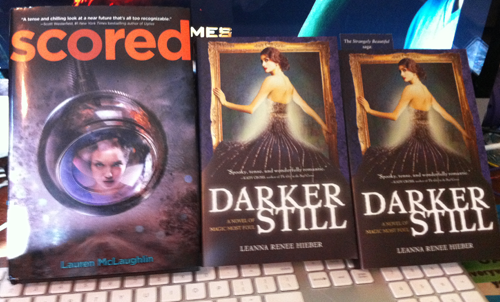 This post is a part of the TWCS YA Blog tour! 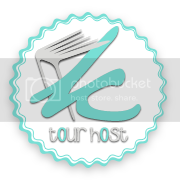 Check out their website to see other books, guest posts, and reviews featured on the tour. 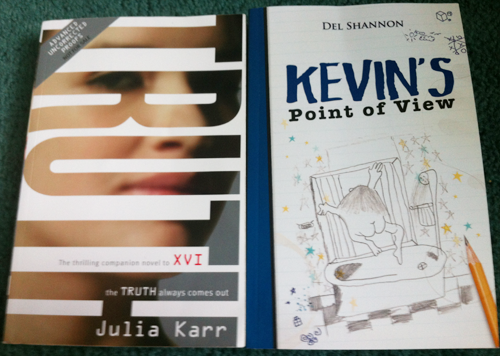 While I wasn't fully in love with XVI as much as I thought I'd be, so far I've heard that Truth is an improvement on it. I still really like the idea and am hoping that this will be the one to pull me back into the series. And thank you to Del Shannon for a copy of the first middle grade book to be reviewed here - it sounds like a lot of fun! I hope that everyone had a great Thanksgiving/weekend (if you're not in America)! Other than that, I haven't really been reading too much lately, as it's just about final paper writing time and crazy things are happening. Winter break, I cannot wait for thee! What's in your mailboxes, friends? *You can find a mini-review here. Q: Letter to Santa: Tell Santa what books you want for the holidays! Letters to Santa are usually wholly unrealistic, no? So let me be a bit whimsical, and then, maybe a tad more realistic. I'd love to magically receive an ARC of Insurgent by Veronica Roth because, well, I'm totally in love with this series, it's one of my favorites. And maybe The Statistical Probability of Love at First Sight - I'm a sucker, what can I say? It sounds awesome. I saw Sophie speak at the Stages on Pages tour on Friday and I love how she explained the cover as the corps de ballet being something that looks like one girl multiplied over and over again, as sort of losing your identity. Anyhow, somewhat thankfully it's a slow book week as I have a huge back log to be pouring through interspersed with final paper drafting! Anything fun in your mailboxes? "My name is Hannah Ward. Don't call me a ballerina." Hannah, a senior member of the corps de ballet of the Manhattan Ballet, vaguely remembers a time before she started dancing. Those were the times she could watch movies with her parents on the couch eating popcorn and those times were years ago. Now Hannah spends the majority of her life at the studio practicing and performing, hoping that she'll be made a soloist. That's what she wants - isn't it? That Hannah doesn't get to do normal things can be summed up in the fact that she's been trying to get through Frankenstein for over a year. She reconciles this with the knowledge that she is a dancer, and dancers have to make sacrifices. This can't be any more apparent when she meets Jacob, a normal college student, and they begin the first friendship Hannah's had outside of her peers. What I liked most about her interactions with Jacob is that they highlight how she is socially unsure of herself and of what to do in everyday situations. 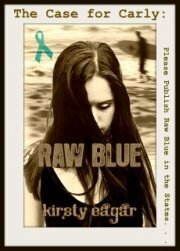 This meeting starts a chain of awareness within herself, forcing Hannah to evaluate her life. Sophie really did a fantastic job of getting across how tough the life of a dancer is and how far removed they can be from what you might consider an average life. While I don't know any ballet terms except for perhaps plié, the terminology blended nicely into the flow of the action and I never once questioned what was going on. If you're aware of the lingo then you might better appreciate just how hard they're being pushed, but if you don't I wouldn't worry about it too much, as you can get the feel of it by the scene. 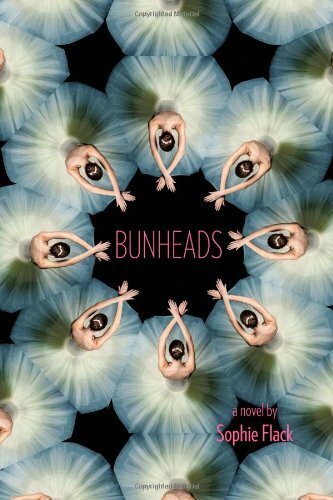 Bunheads is a fast-paced, realistic story about choice and dedication and how they interrelate. Whether or not you like dance, this is a book full of rich characterisations and situations that almost anyone can relate to on some level. Thisby Island is unique in many ways, but is most well-known for the Scorpio Races: an event that happens every November and is a race between man, horse, and sea that is every bit as brutal and unpredictable as the people and their mounts that participate. Puck Connolly had sworn off any interaction with the races until she's left without an option. Sean Kendrick is the sea personified and wouldn't have it any other way than to enter, but this year it means more than any other. The island has its way with people, and this November it's a fight to the end. I want to honestly say that I'm hard-pressed on where to begin with this. 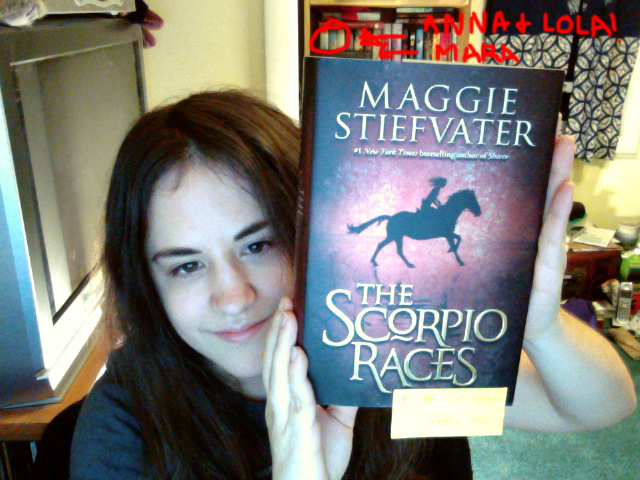 It's taken me a week to finish The Scorpio Races when normally I would have finished it in a few hours. 100% of that delay was me wanting to drag it out word by page by perspective so that it would never end. Perhaps a little background is necessary in why I feel so strongly about it. The first promise I ever remember making is to my mom, in the way that children do, that when she won the lottery she would buy me a horse. I read Black Beauty over and over until the copy was worn out, but I wouldn't let anyone throw it away. My favorite place is anywhere that I can be in the water, but specifically on the ocean. There is absolutely nothing like it: the sounds, smells, texture of the sand and the surf washing over your feet, the way the sun sets and rises and glimmers. I love water. Thus the fact that every time I read a sentence in this book I felt like it had been written specifically for me. I knew Maggie was a ridiculously talented writer after reading Shiver, but this book is in a different league. From the very fist sentence I was hooked as Sean Kendrick watched the capail usice run across the beach, already critical of what was happening in the quiet, knowing way that he has. Despite not knowing anything about what was happening it set up perfectly my wanting to find out everything that I could, and all of that was laid out as the story progressed. One of the best things about the book - and is something that effects the way everything happens - is that the island, aside from being just a setting, is very much a character in the story. Thisby has moods that influence the weather, its history has affected the traditions of the people, and its relative size means that the population has to socialise much closely together than they might have elsewhere. Here's where I would normally tell you more about the characters, but, really, I want that to be something you experience for yourselves while reading. As a whole, though, all of the characters in the book were so well crafted and each one was absolutely necessary - there's no fluff here. Puck is strong, earnest, blunt, but quite perceptive. She doesn't give up, and she doesn't believe she should have to. Her two brothers, Gabe and Finn have such strong personalities even when they're not present that you might think they have more 'screen time' then they actually do. (This is not a bad thing. I loved Finn in particular.) But I have to say that Sean Kendrick steals the show for me. From this book alone he's catapulted into my top 5 favorite characters and it's almost hard to describe why. Sean is a man of few words, but not in what you might consider a typical broody, leaning against the wall with smoldering eyes sort of way. He's honest, doesn't need much to live on, but he feels so intensely that it's difficult for him to interpret what it could mean. The interactions with Puck and Sean in this book had me in tears and smiling huge because they never had to yell it out or say it in big speeches or acts. It was gradual and so, so believable. Maggie's beautiful descriptive writing created two characters and made them real. 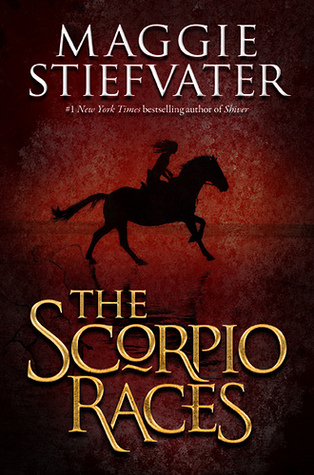 The Scorpio Races is a book that I will recommend to anyone simply because it has so much to offer. If you love characters? This book is for you. Mythical creatures? Water? Horses? Still for you. 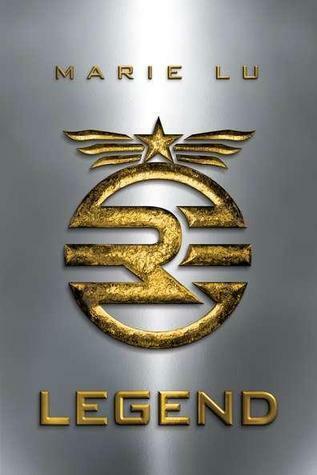 From the first sentence to the last this book is, page by page, full of emotions and adventure for you to experience. Just read it slowly, because it will end faster than you'd like. 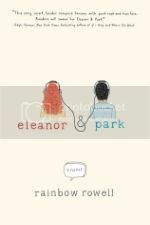 Morris Award—finalist Nina LaCour draws together the beauty and influences of music and art to brilliantly capture a group of friends on the brink of the rest of their lives. I really love books with exploratory themes like this, mainly because they're about people who are students, unsure what to do with their lives and really don't know which next steps will bring them where. Sometimes I feel like I still am one (very large step) step in, one step out of that world and so I can understand it pretty well. 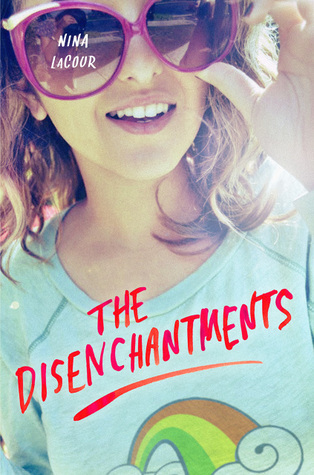 That said, there has been some amazing talk about this book, and I love the cover with its muted, faded tones and font that looks like it could have been part of her shirt. Very much looking forward to this one! Since I began NaNo I've been hemming and hawing over whether to talk about it here. Then I saw that Casey and some others have been doing status updates and so I'm going to chime in as well. 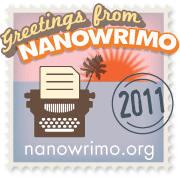 This is my first year doing NaNo, and really, my first year seriously writing. While writing (fiction) in some form or another is something that I've been doing for as long as I can remember I never really had any one thing that I wanted to sincerely share with people. But last year I was struck with an idea and immediately took heaps of notes; most of them were recorded as I had so many ideas in my head that my hand couldn't keep up with everything I wanted to get out before it slipped away. And that was it. My idea floundered between the pages of my notebook and that was it. Until a friend of mine mentioned that she was gearing up again for NaNo and I promptly marched to Barnes & Noble, bought a moleskine. I was prepared. Spotify on, notebook open... I wrote and wrote. I've seen posts where people have battled internally over how terrible their writing is or that their story idea is crap. I have those moments, too - the other day in particular it was quite bad. And then I remember that Stephanie Perkins and Erin Morgenstern both had their stories born from plugging along during NaNo. Every time I think of that it gives me hope, that I have a goal, and that I can achieve it. And so I write. I don't write equal amounts every day due to coursework or what have you but I make sure I get something out, just to keep going. It's hard. But everything is, and, for me, it's worth the effort. You are amazing. You were amazing beforehand and you are undertaking something crazy and wonderful and we can only be better for it. I wish you much luck, and feel free to talk to me on Twitter/e-mail/here somewhere about anything because we're all in a fun, rocky boat together. And we'll make it through. And then I just finally bought it, thanks to a B&N coupon! What's in your mailboxes, lovelies? I want a book to do ______ for me. Meaning, when I read a book I want to get _____ out of it. For example, when I read a book I want to fall into it completely. I want to forget that I am reading and completely fall into the MC's head. For that the characters have to be believable, the prose fluid enough to tell the story so that I am experiencing the events along with everyone inside the book. Thus even if there's a story idea that might not have worked for me - zombie werewolves striking a peace treaty with neighboring vegetarian vampires - if the words, the bones are there then I can get behind it completely. What about you? Today's question is something new, an activity. We want to see what you look like! Take a pic with you and your current read. Too shy? Boo! Just post a fun pic you want to share. For Rachel & Alison - this FF was awesome and heaps of fun! P.S: Sorry, Maggie! I'm not skilled enough to try drawing a fierce capall uisce. So here's an awesome cat I found instead. I have to give kudos to Miss Veronica Roth for helping me to discover this one. 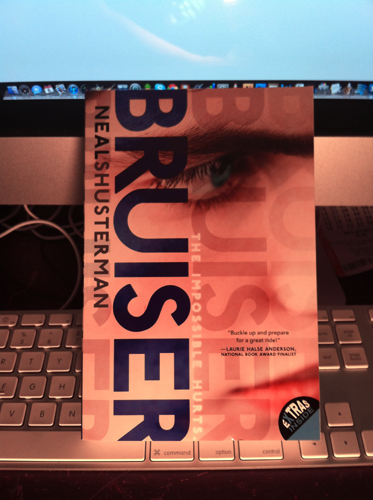 I can't stop staring at the cover - it's gorgeous. Soft, and the color scheme perfect. (And I love that font.) The shape of her face almost reminds me of Mary GrandPré's chapter sketches for HP. The use of larks for her name - it just ties together so well. Cover aside, just from the summary this is a book I want to know more about. What's the Long Winter? How is life determined for its citizens? I'm completely sold. Thankfully there's not too long to wait! 01. 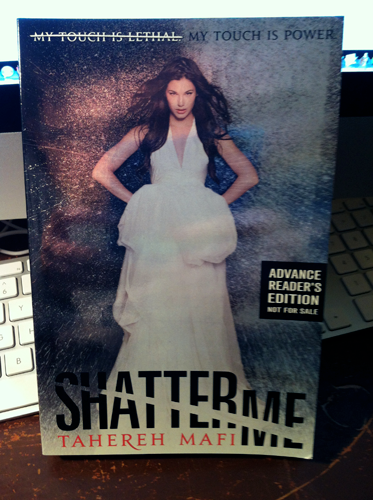 Shadow Kiss by Richelle Mead: I created a love-and-hate shelf for this book on Goodreads after finishing this one. You probably have an idea as to why if you've read it. I reread the scene yesterday and it was slightly less painful. That's how you know you love the characters. 02. Harry Potter and the Order of the Phoenix by J.K. Rowling: I'll be honest in admitting that I did throw this one. Not very far, but it did have a little journey. I suppose I should have seen it coming, with what the mirrors and all, but I was taken completely by surprise. 03. The Hunger Games by Suzanne Collins: It wasn't just the ending with this one that got me. I study and plan to work in human rights, and so the entire concept of this book gripped me from the very first moment my mind grasped what was happening. Everything about it was wrong, but I couldn't stop reading. 04. Uglies by Scott Westerfeld: While the way the story was told didn't really work for me, the premise of this book is fairly incredible (not in the literal sense). That people have to fix themselves to fit in and only then can they have fun is completely absurd, but, really, in comparison with some ideas in reality - is it? 05. Harry Potter and the Deathly Hallows by J.K. Rowling: The ending of this book was not necessarily vindication, but almost a sense of affirmation. I don't love as many characters as much as I love Snape, so here I cried more than I did over OotP. 06. 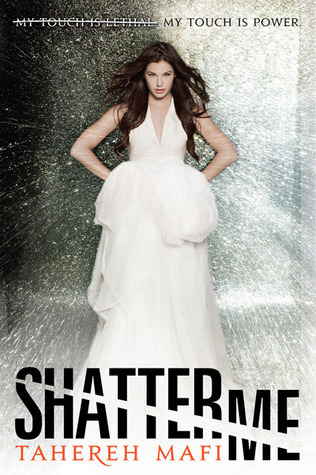 Shatter Me by Tahereh Mafi: My emotions for this book were 100% for the writing. If not for her words this book would not have made the impact - for me - that it did. I found myself taking pictures of quotes with my phone so that I could roll them over and over in my head. Keep an eye out for a review this week. This book was perfection in the form of words and phrases. 07. Flowers for Algernon by Daniel Keyes: I first read this for school and it broke my heart in an entirely new way. I struggled with the idea of experiencing something new and living, only for it to be snatched away. This is not an easy book, but it's a necessary book. 08. Wither by Lauren DeStefano: I didn't love this book as much as I thought I would, and I think that's partially because I empathized too much with Rhine. I was angry over what was happening to the girls and the general sense within society that this was okay. Not to mention what happened with Cecily and Jenna (and her sisters). It's hard to not feel something either way over it. 09. Lola and the Boy Next Door by Stephanie Perkins: I laughed and smiled and all sorts of verbed along with this book. That's the beauty of Stephanie's writing - she can make you feeling practically anything while reading, and the best part of it is that it's completely genuine. 10. Unwind by Neal Shusterman: I didn't physically cry over this book, but everything else in me was protesting the entire concept of it. I didn't know what to expect and literally stared at a particular passage of it probably for about 10 minutes before I could figure out what to do from there. If it were feasibly possible I would give a copy of this to everyone I knew. And those I didn't.